Japanese Restaurant Minneapolis: Planning Your High School Reunion? 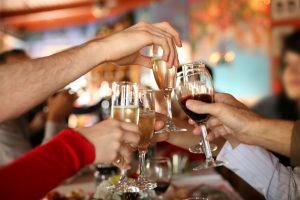 In Charge of Planning Your High School Reunion? 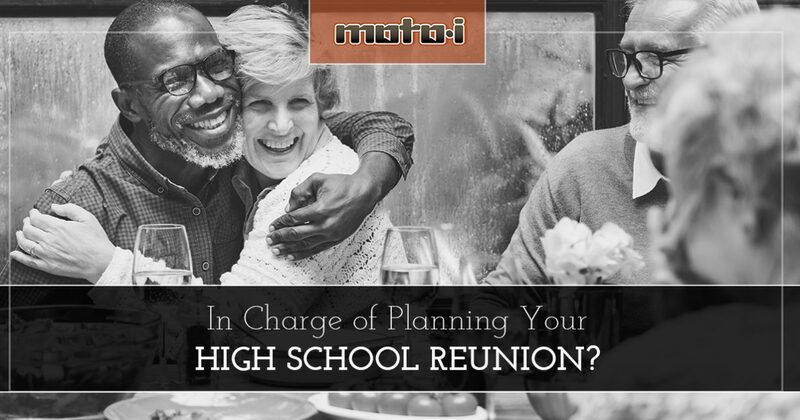 If you were the president of your high school class, or you’ve been put in charge of the alumni association, then it’s likely that you’re the one who has to plan your class reunions. Hopefully it’s something you enjoy doing, but regardless of the circumstances, you need a suitable place to hold your reunion. At Moto-i, our Japanese restaurant in Minneapolis is a great spot for your reunion, and you and your classmates can enjoy a party in one of our private event spaces! The first question you should ask yourself when planning the reunion is, “How many people will show up?” If you had a graduating class of approximately 100 people, you can count on perhaps 75 to 80 attending the event. You’ll also have to keep in mind that a good percentage of those 75 to 80 will bring a spouse or significant other with them. That means you should plan on 150 to 160 people for the reunion. Our rooftop patio, Stryker’s Lookout, can easily accommodate 200 people with our stylish cocktail-style setup. If you’re going to have a smaller event, perhaps for a team or group that you were a part of in high school, one of our interior spaces, either Ramen Alley or the Big Boy Lounge, can be a great choice. Each one can be configured for a cocktail-style party or a sit-down dinner. We have audio and video equipment available for the Big Boy Lounge, so if you want to show embarrassing high school photos or videos, you can put together a great slideshow! When Will Be the Best Time for the Reunion? February in Minneapolis doesn’t always have the best weather, but chances are you’re planning the reunion for early to midsummer. It’s often easier for people to travel during the summer, and if they have kids in school, it’ll be easier to bring them with once the semester has ended in May or June. You’ll also have to keep in mind that people may be traveling a long distance, and may want to plan a longer vacation in the Twin Cities, where they can see other friends and family. If you’re going to have a large group and need Stryker’s Lookout, then it’s going to be much better in June or July, when the weather is nice. The rooftop patio is only available during the summer months, so the fall, winter, and spring can bring chilly weather at any time. How Much Food and Drink Will You Need? When you send the reunion invites, you may ask people what they prefer in terms of food and drink. Our Japanese cuisine has something for everyone, and we can provide a full catering spread that will satisfy even the most refined of tastes. Each of our private spaces are booked on a minimum in sales for food and drink, and we can help you put together the perfect menu for your event. We’ll make sure there’s plenty for everyone, and that everyone has access to our full selection of sake, wine, beer, and cocktails. If you’re in charge of planning your high school reunion, and this year marks a milestone such as 10, 20, or 30 years since you graduated, contact Moto-i for more information on our private event spaces. Even if you’re just looking for somewhere to grab a drink before you head to larger venue, or you want to take a small group of friends on a sake brewery tour, we’ll help you plan the best event possible. You can fill out the form below to reserve your event date, or give us a call at (612) 821-6262. We look forward to hearing from you!